"Researchers at the Computer Vision Laboratory, ETH have been working on multi-object tracking which combines object detection and space-time trajectory estimation. 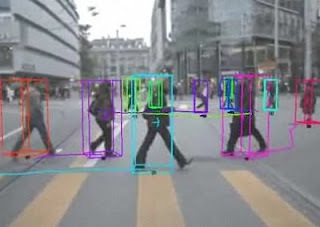 The video shows fully automatic visual object detection and tracking results obtained by their approach in difficult real world settings. " Sounds like robot vision estimation software maybe even a new iphone app ? But what about some possibly surreal off the planet tracking.